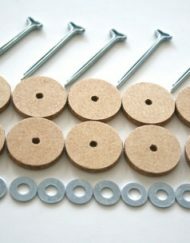 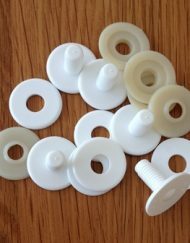 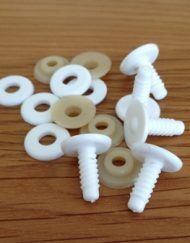 A pack of 5 x 55mm safety joints for teddy bear and soft toy making. 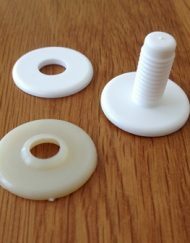 A set of five (or 25) plastic 55mm safety joints to enable your creation have moving arms, legs and head. 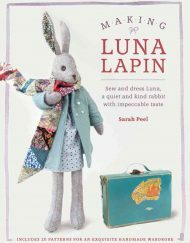 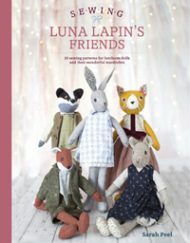 A pack of 5 will be enough to joint one bear (or a toy that has two arms, two legs and one head!) 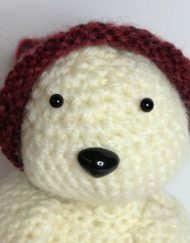 and a pack of 25 will be enough for 5 bears/dolls/etc. 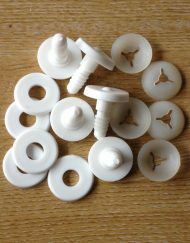 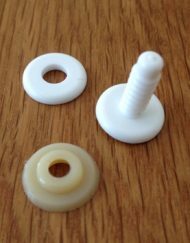 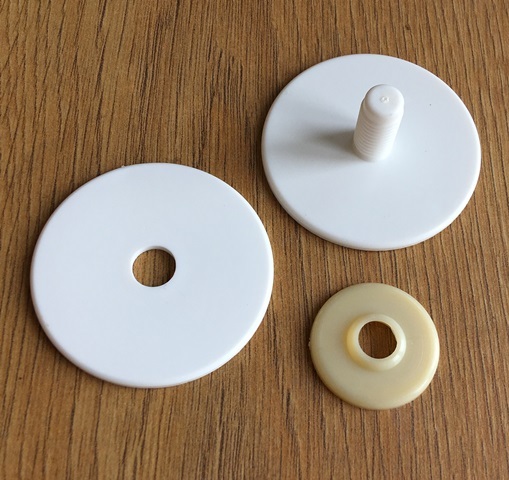 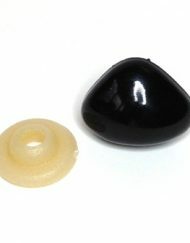 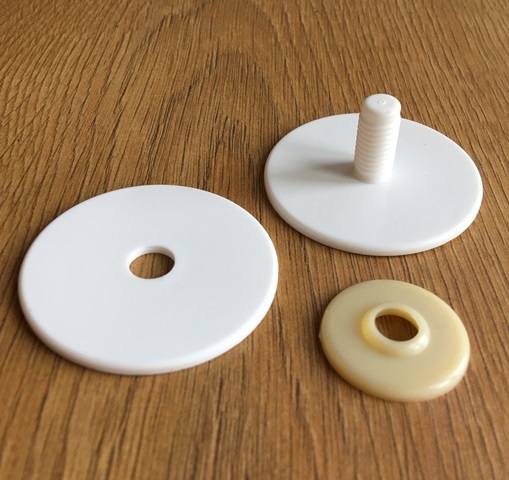 The diameter of the larger disks is 55mm and the length of the plastic ‘pin’ is 20mm. 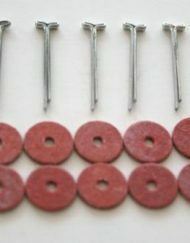 The diameter of the ‘pin’ is 8mm.